Stack’em High in Kitty Hawk was established in 1985. Ever since the tables have been filled with locals and vacationers who enjoy a hearty breakfast in a relaxed atmosphere at a reasonable price. From the traditional eggs bacon and sides, scrumptious waffles and French toast to the Outer Banks breakfast specials; and of course PANCAKES! Everybody loves Stack’em High Original Pancake House! Come on in and grab a chair and enjoy some breakfast. Once you try us, you’ll come back for the food and comfort from such a great staff. 1968–Perry & Kiki Kiousis came to the Outer Banks and started feeding Outer Banks locals and visitors breakfast. The tradition continues with the Kitty Hawk store, established in 1985, is now run by their eldest son, Steve and his wife, Kristine. The original restaurant in Kill Devil Hills is run by their youngest son, Nick and his wife, Dawn. Steve has spent most of his life growing up on the Outer Banks and is a good friend to many folks who live and vacation here. Kristine has been very active in the local community and has been with Beach Realty since 2004 and is currently a Broker there. 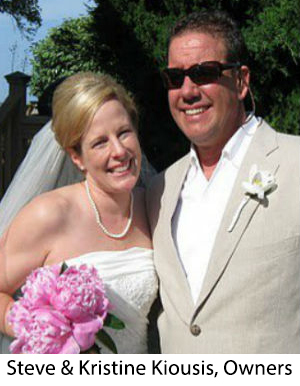 Steve and Kristine have four children - college students Andrew and Maddie, 4-year-old Emilia and baby Alexander who recently turned one. Best sausage and cheese omelettes on the Outer Banks. The entire family will enjoy our fresh to order pancakes delivered fast and hot to your table. If you like coffee our attentive servers will always keep it hot in your cup. 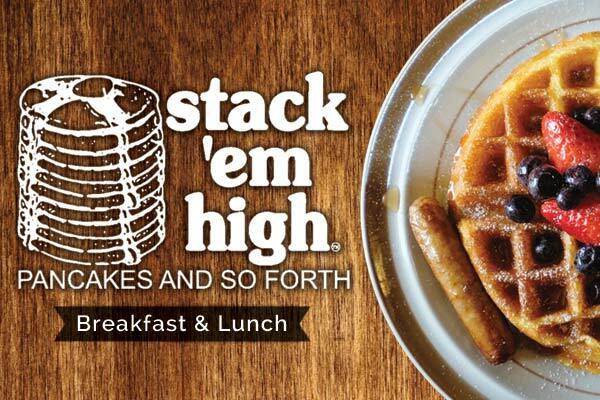 Having breakfast with Stack ’em High has you covered. Why would you want to go anywhere else? Kids especially love our waffles and pancakes. Guaranteed to put a smile on their face and fill them up with wholesome yummy-ness!